Exclusive to Bunnings Stores in VIC, NSW, QLD, ACT, SA, WA and TAS. The STYLE SOLUTIONS range is a collection of ornamental shrubs and perennials which are reliable and easy to grow making landscaping choices easier for the home gardener. Each variety has a dedicated page of information highlighting features, uses, growing and care instructions in clear, easy to understand terms. Creating your own garden style is easier than you think with a wide range of form, colour and texture - begin right here for some inspiration! This site also incorporates theLavender Patch® RangeAnother Bunnings exclusive. Lovers of lavenders will delight in the delicious selection of colours available in the RUFFLES collection ranging from a more traditional lilac colour through pinks to the unusual duo tones of ’Boysenberry Ruffles’. Their aesthetic appeal does not end there as the chunky bracts atop the flower heads are distinctively rippled along their margins to give the ruffled appearance for which they have been named. Compact and neat in habit they are ideal for small garden spaces or container culture in entertainment areas. 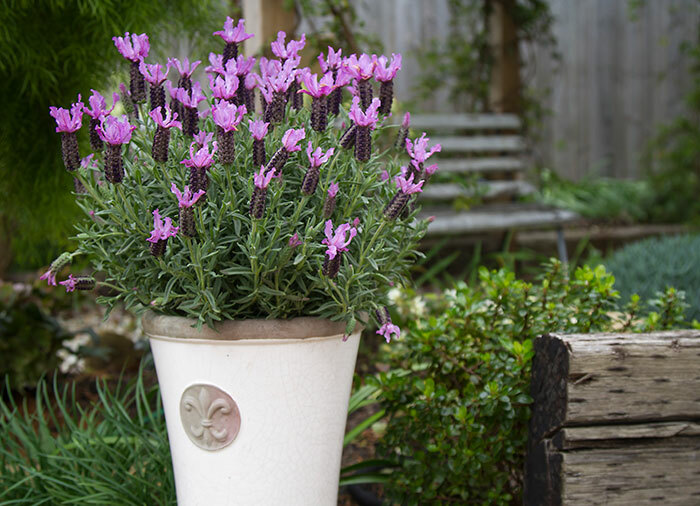 As with most lavenders - they are dry tolerant once established and require only minimal maintenance. 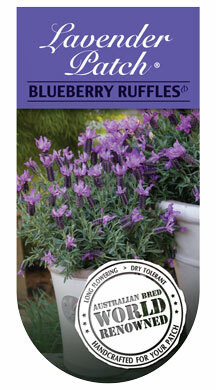 All varieties in the RUFFLES collection have been bred in Australia, by PGA, to suit Australian conditions. They are more compact in habit with flowers sitting just above the foliage and are more tolerant of the humid conditions in our norther regions than many other types of lavender currently available on the market. Small gardens, containers, hedging, aromatic gardens, childrens gardens. Great around entrance ways, paths or entertainment areas where brushing the foliage will release its aromatic scent. A light prune after main flowering flush followed by another during late summer will encourage a bushy habit whilst a nutritional boost of slow release fertiliser during spring would be beneficial to overall performance. | © Plant Growers Australia Pty Ltd.